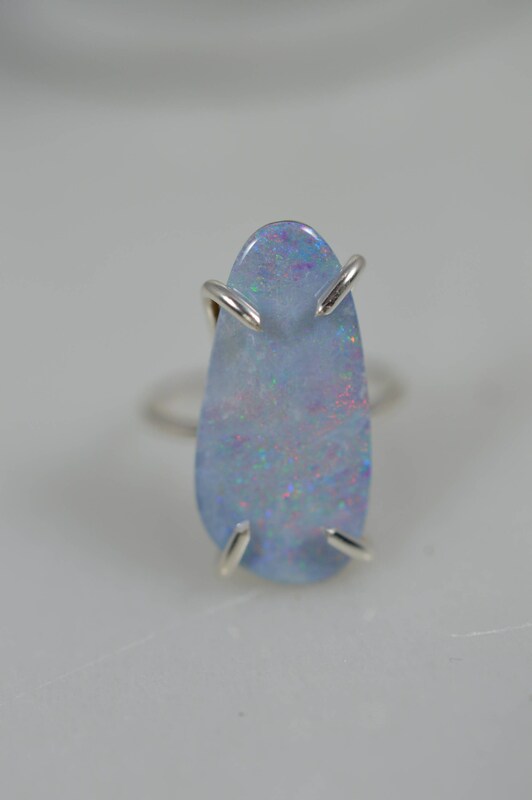 Sterling Silver Opal Doublet Statement Ring - Choose your stone size! 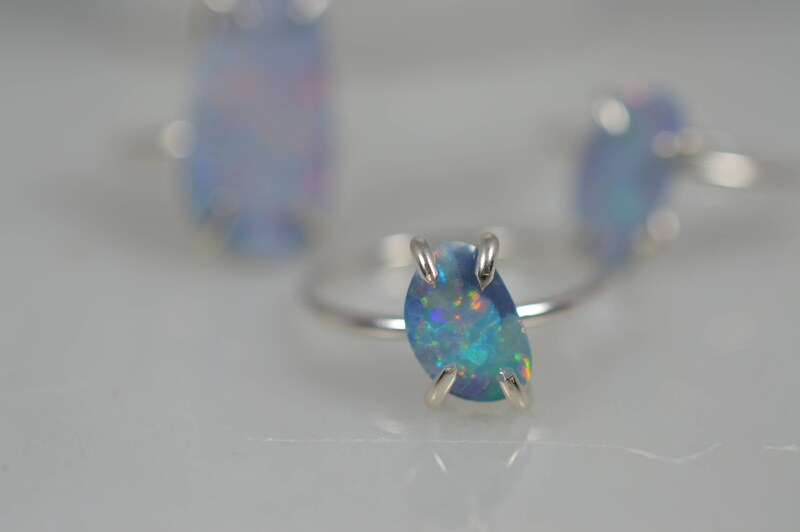 There's just something magical about the way light catches an opal and scatters a rainbow of blues, greens, yellows and pink! 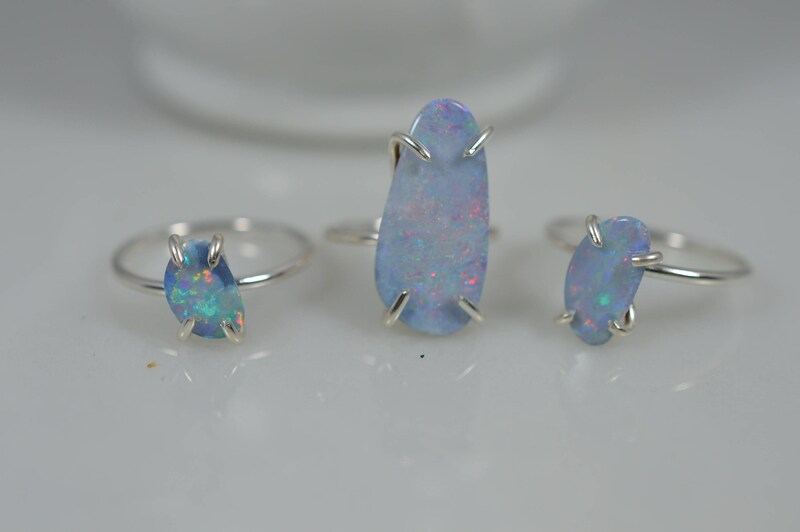 These gorgeous opals, mined in Australia, really make a statement on my hand made sterling silver prong set bands. 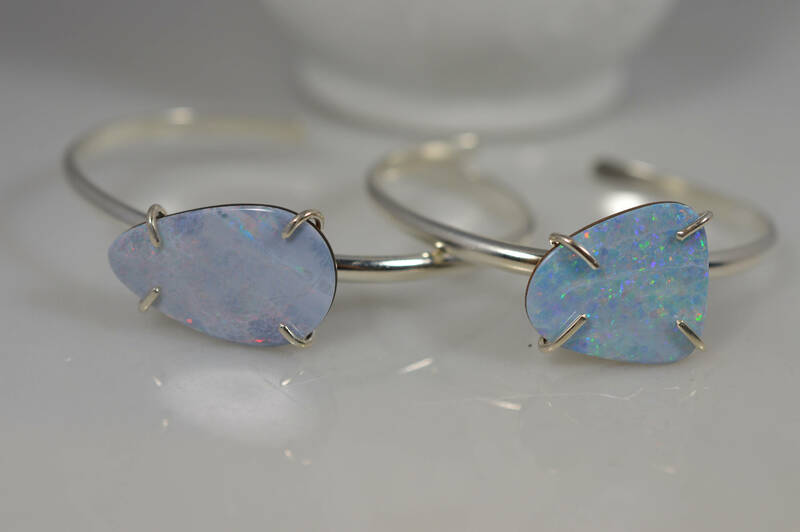 Since opals are a very delicate stone, these thin slices are backed by ironstone to add strength. 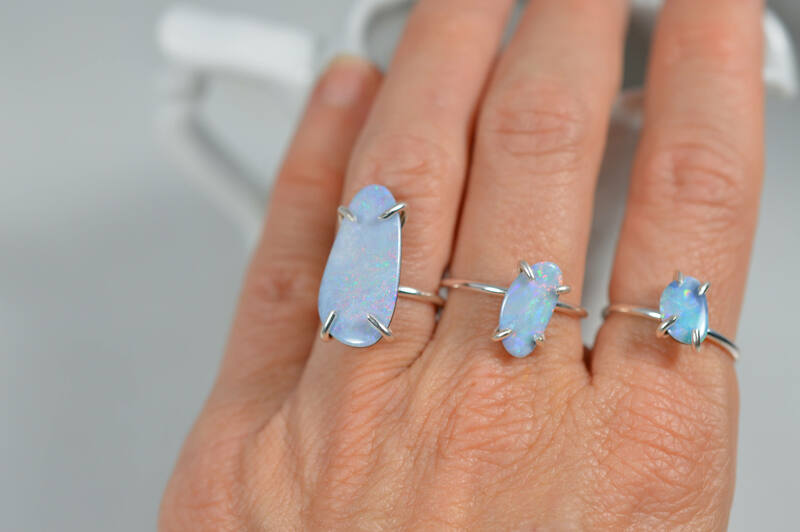 Choose from a small, medium or large opal to make the perfect ring for you! 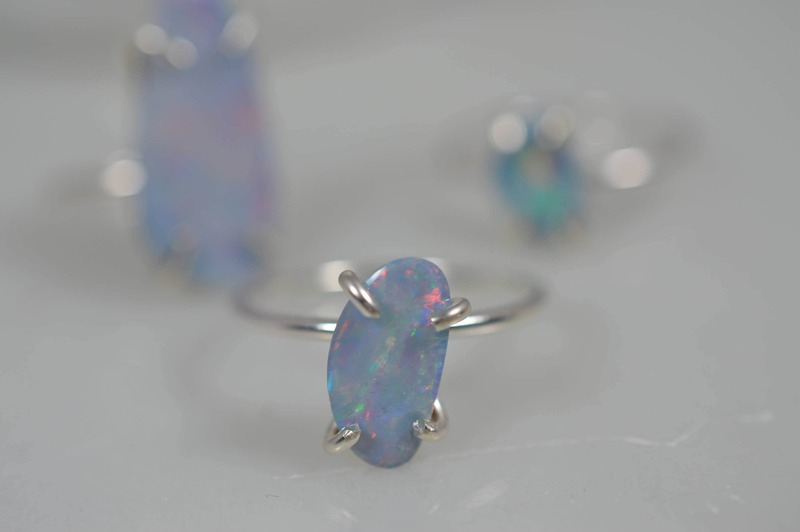 While you can pick your stone size, I will select which specific stone I will be setting in your ring. 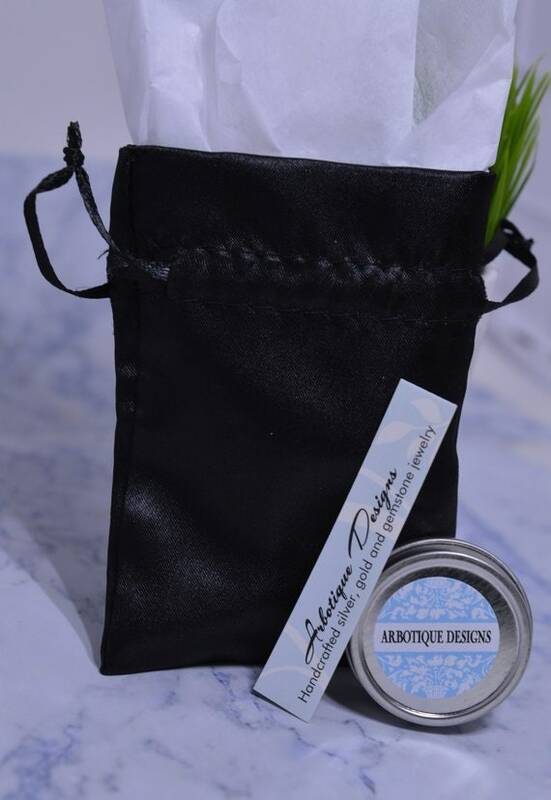 Stones range from pale blue to medium blue gray but all of them are equally gorgeous! 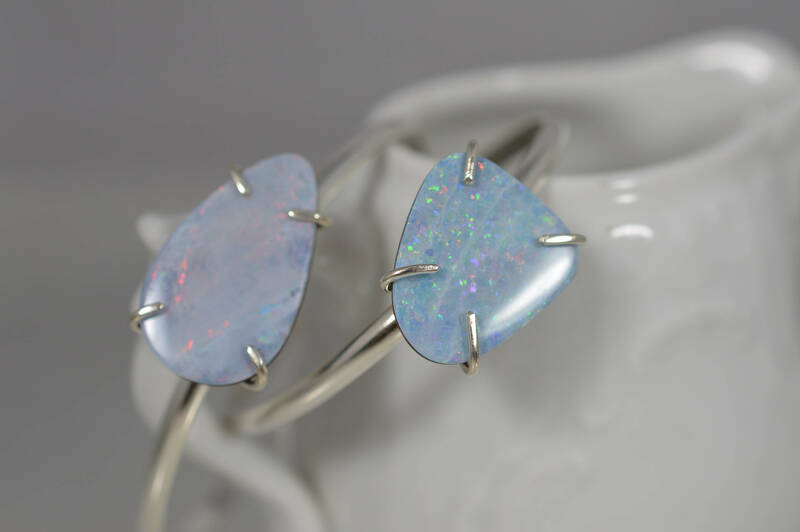 See last 2 pictures for my matching cuff bracelet!